The long, ugly history of allowing industries to police themselves. Obama was getting at a real problem. As economic historian Edward Balleisen points out, the trend over the past half century has not been less regulation per se, but a greater acceptance of “self-regulation,” whereby industry funds government oversight, and government outsources oversight to industry. And dozens of government agencies have followed this script: the Institute of Nuclear Power Operators, the Environmental Protection Agency, and the Food and Drug Administration, to name a few. The pitfalls of self-regulation are clear. BP, which the government left to devise its own safety measures for deep-water drilling, chose maximizing profits over minimizing risk. In financial regulation, the industry-funded Financial Industry Regulatory Authority—whose board is rife with banking titans—ignored the shifty dealings of Wall Street mainstay Bernie Madoff. By the same token, self-policing credit-rating agencies had little incentive to question the faulty debt ratings of their high-rolling clients. But after decades of dwindling regulatory coffers, public-sector brain drain, and laissez-faire thinking, moving away from self-regulation is a herculean task. 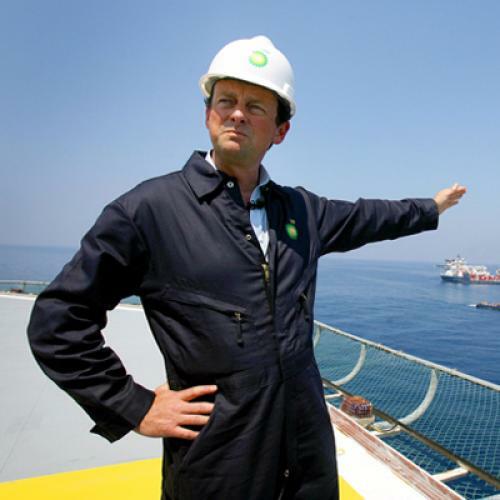 The administration has neither the equipment nor the know-how to stop BP's gushing well. On financial reform, Senate Banking Committee chair Christopher Dodd, who wrote the Senate's financial reform bill, has balked at proposals to put government in charge of credit raters, arguing it lacks the technical savvy "to be choosing rating agencies based on arbitrary choice." Sadly, unfettered self-regulation has too often remained the answer, even if it is not the right one. Self-regulation has some noble roots. Business consortiums began corralling companies to share information and adopt common standards in the eighteenth and nineteenth centuries, when the rapid pace of industrialization left businesses and consumers struggling to navigate the flood of new companies and products on the market. Fostering reliability in business boosted market confidence, which in turn boosted industry sales. In 1894, the Underwriters Laboratory—which established safety standards for electricity providers and fire fighters—took the idea a step further, introducing self-policing as a way to keep plants and factories out of harm's way. The approach worked well when government agencies kept self-regulators in check. In his book Hostages of Each Other, political scientist Joseph Rees recounts how the government reined in nuclear regulation after the 1979 nuclear disaster at Three Mile Island. The government‘s Nuclear Power Commission tasked the industry group, the Institute of Nuclear Power Operators, with standardizing plant safety. But it also flooded its staff with engineers and operators from the Navy’s nuclear fleet, who paired a sense of civic duty with technical expertise. Over the next decade, the average rate of emergency nuclear plant shutdowns dropped by nearly 80 percent. But in other industries, a façade of regulation allowed self-policing to stray. In 1914, the Senate Pujo Committee—which investigated a cabal of Wall Street bankers that were manipulating the financial industry at the time—threatened to regulate publicly listed companies and fight insider trading. In response, the New York Stock Exchange promised its own tighter controls, but in practice these controls amounted to mere pleas for listed corporations to “promptly” inform investors of “any action in respect to dividends on shares or interest on bonds.” Real reforms did not come until several decades and a financial crash and Great Depression later, when Franklin Roosevelt’s New Deal created the Securities and Exchange Commission and required listed companies to publicly disclose all their dealings. In the 1940s and 1950s, unsupervised chemical manufacturers reined free in disposing of toxic waste, held only to light-touch standards set by the trade group, the Chemical Manufacturers Association, whose stated purpose was to fend off government intervention. Over the next two decades, the group successfully squelched EPA proposals to slap fees on chemical dumping, arguing the idea was "not fair, and more important, it probably isn't legal." It wasn't until 1976—after a barrage of chemical disasters and oil spills drew public ire—that Gerald Ford signed the Toxic Substances Control Act, giving government some semblance of authority. Industry largely ignored even those reforms until 1984’s deadly Bhopal chemical disaster forced more meaningful change. Self-regulation took on a similar, if subtler, hue under Presidents Clinton and George W. Bush. Clinton's push to "reinvent government" turned to self-regulators to "cut the fat" from ineffective agencies, while Bush-era reforms reduced regulations to weak voluntary guidelines and corporate pledges. During this period, agencies struggling to cope with ever-expanding industries and dwindling budgets became entirely dependent on private help. Between 1996 and 1998, the Environmental Protection Agency, for instance, was able to inspect fewer than 1 percent of the more than 100,000 large-scale corporate facilities under the Clean Air, Clean Water, and Resource Conservation and Recovery Act. It had to rely on companies’ word. Under one Clinton-era EPA initiative, companies were invited to propose self-regulatory schemes that cost less, promoted growth, and did a better job protecting the environment. But the program failed when business leaders shunned the lengthy and costly applications involved. Under George W. Bush, the government had neither the information nor the legal authority to rein self-regulators in. Perhaps the worst example was the EPA’s decision to outsource restrictions on the dumping of coal ash to the industry’s Utilities Solid Wastes Activity Group, which led to weak voluntary standards with no recourse if coal producers failed to comply. Eight years later, a distressed dam collapsed at a storage pond filled with coal ash near Kingston, Tennessee, unleashing a billion gallons of toxic sludge that submerged nearby homes and poisoned far-flung Appalachian waters. The case for self-regulation continues to be heard today. In the debate over regulating credit rating agencies, even liberals are bristling at a bigger government role. By Senator Dodd’s account, innovation and competition alone can fix the faulty ratings that worsened the financial crisis. But smaller raters need a government boost, notes Claire Hill, a legal scholar at the University of Minnesota. The so-called “Big Three” raters (Moody’s, S&P, and Fitch) have continued to dominate the ratings business despite their numerous past failures at spotting bad debt. Internet standards are also at risk. The Federal Communications Commission’s National Broadband Plan, released in March, caved to internet advertisers interested in stalking users’ online activities for intelligence to use in targeted ads. Formal regulations of online privacy would become quickly outdated, the companies argued, whereas self-regulations are “nimble.” One advertising agency wrote to the FCC: "Existing robust self-regulatory principles provide consumers with strong protections in a manner that has allowed the Internet to thrive, thereby benefiting the U.S. economy." That argument didn't hold for AT&T last week, when a security breach exposed the e-mail addresses of more than 100,000 Apple iPad subscribers. Equally troublesome was Google's admission last month that its Street View cars had secretly collected snippets of internet information while traveling over unsecured Wi-Fi networks. Let’s hope Obama understands these risks. It may be that, especially in tech-heavy sectors, government will never know industry better than industry knows itself. "By necessity, you have to resort to some sort of relationship with industry," says political scientist Marc Eisner. But the key is getting that relationship right, and recognizing self-regulation's limits. In the oil spill, as in all regulation, Obama has to decide where to draw the line. Roya Wolverson is a staff writer on economics at the Council on Foreign Relations' CFR.org in New York.